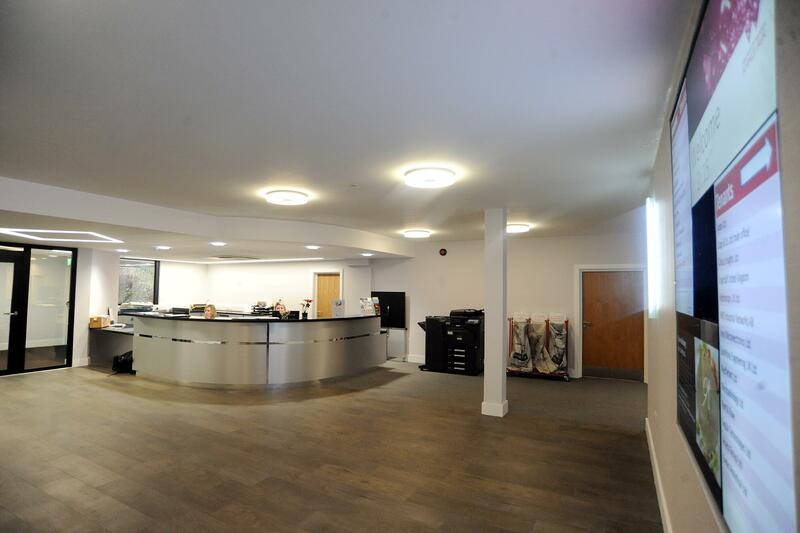 Tenants at the Venture Centre have been thanked for their patience during internal refurbishment works. The upgrade of the building has seen visual and energy-saving improvements and will now be followed by the refurbishment of the exterior car parking area to make available more car parking spaces at the Science Park. The upgrades in the corridors include new flooring and ceilings, plastering walls, changing doors, skirting and architrave. Existing lighting has been be replaced with new LED lighting. Brian Nee, of the University of Warwick Science Park, said: “As those based in the Venture Centre will have noticed, we are nearly there with the internal elements of the refurbishment. “We have just completed the finishing touches of signage installation and some art work for the corridors will follow shortly. The works have been quite extensive but hopefully not too disruptive, I would like to thank everyone in the Venture Centre for their patience and support throughout the duration of the works. “We will shortly be moving onto the external phase of the project, with planned alterations to the building approach, the resurfacing and relining of the car park as well as the construction of a number of dedicated disabled parking bays as well as the provision of a covered bike storage facility.